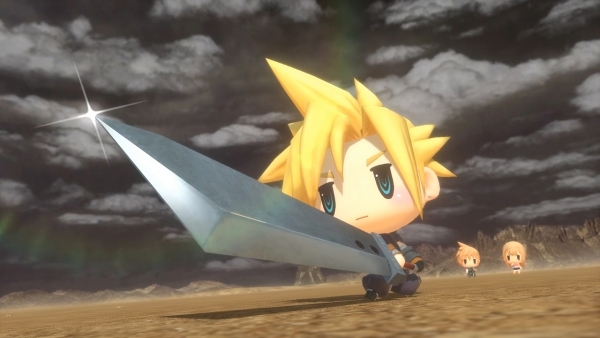 The chibi Final Fantasy series goes mobile. The latest issue of Weekly Famitsu reveals World of Final Fantasy: Meli-Melo for iOS and Android. It will launch in Japan in 2017. Developed by Drecom, World of Final Fantasy: Meli-Melo is a casual-themed title different from the previous World of Final Fantasy. Players will be able to stack a maximum of six small characters on top of each other, or four medium characters, or two large characters. Co-op with other players is also supported. Players will have a “Garden Dome” where they can befriend Mirages and go on an adventure in the other world of Valgallan. The original characters that appeared in the previous game will appear again in this game. The story is told in the form of a manga. The game’s staff includes executive producer Shinji Hashimoto and director Hiroki Chiba, who directed the previous game.